This post is a list of books since 2005 (in reverse chronological order) that we have been involved in, accompanied by the publisher’s official description, and some comments of independent reviewers of the work. We will try and keep this list up to date as and when new books appear. We have also added links to the sidebar with the latest offerings. The Hockey Stick and the Climate Wars: Dispatches from the Front Lines, Michael Mann, Columbia University Press. 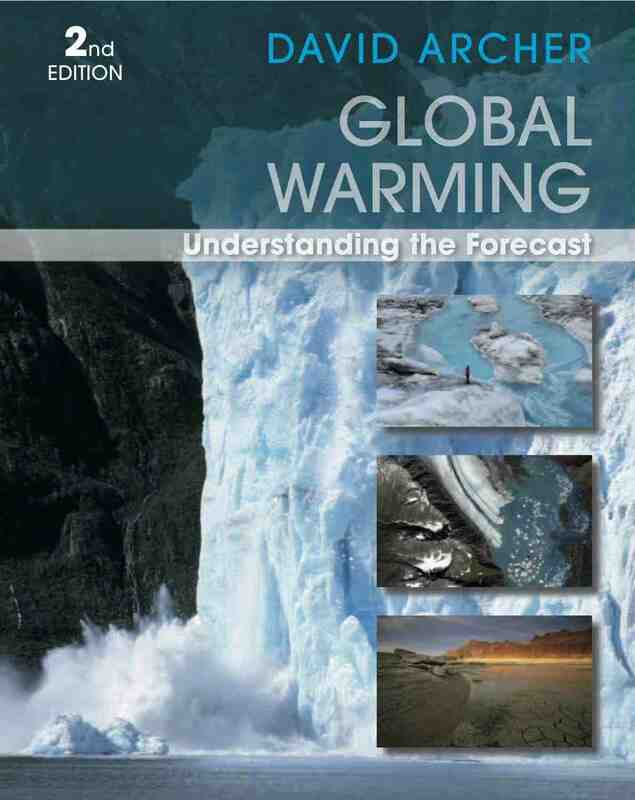 Global warming: Understanding the Forecast, Second Edition, David Archer, Wiley (2011). Global Warming and Political Intimidation, by Raymond Bradley, University of Massachusetts Press (2011). The Warming Papers: The Scientific Foundation for the Climate Change Forecast, by David Archer and Ray Pierrehumbert, Blackwell / Wiley (2010). The Global Carbon Cycle: Princeton Primers in Climate, by David Archer, Princeton University Press (2010). The Climate Crisis: An Introductory Guide to Climate Change. David Archer and Stefan Rahmstorf, Cambridge University Press (2010). An unofficial guidebook to the IPCC Fourth Assessment Report. 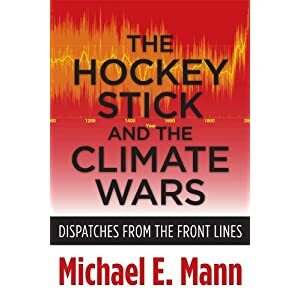 The Hockey Stick and the Climate Wars: Dispatches from the Front Lines, Michael E. Mann (Columbia University Press). In its 2001 report on global climate, the Intergovernmental Panel on Climate Change of the United Nations prominently featured the “Hockey Stick,” a chart showing global temperature data over the past one thousand years. The Hockey Stick demonstrated that temperature had risen with the increase in industrialization and use of fossil fuels. The inescapable conclusion was that worldwide human activity since the industrial age had raised CO2 levels, trapping greenhouse gases in the atmosphere and warming the planet. The Hockey Stick became a central icon in the “climate wars,” and well-funded science deniers immediately attacked the chart and the scientists responsible for it. Yet the controversy has had little to do with the depicted temperature rise and much more with the perceived threat the graph posed to those who oppose governmental regulation and other restraints to protect our environment and planet. Michael E. Mann, lead author of the original paper in which the Hockey Stick first appeared, shares the real story of the science and politics behind this controversy. He introduces key figures in the oil and energy industries, and the media front groups who do their bidding in sometimes slick, bare-knuckled ways to cast doubt on the science. Mann concludes with an account of the “Climategate” scandal, the 2009 hacking of climate scientists’ emails. Throughout, Mann reveals the role of science deniers, abetted by an uninformed media, in once again diverting attention away from one of the central scientific and policy issues of our time. The Climate Crisis: An Introductory Guide to Climate Change. David Archer and Stefan Rahmstorf, Cambridge University Press, 2010. This book provides a concise and accessible overview of what we know about ongoing climate change and its impacts, and what we can do to confront the climate crisis. Highly illustrated in full colour, it lucidly presents information contained in the Intergovernmental Panel on Climate Change reports, making essential scientific information on this critical topic available to a broad audience. 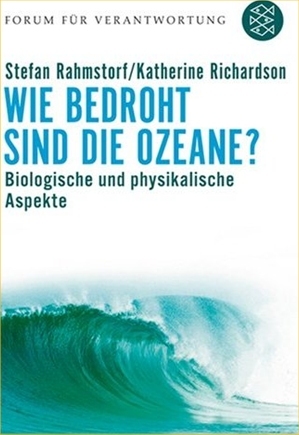 David Archer and Stefan Rahmstorf – two outstanding scientists – bring us up-to-date on climate science in this remarkable and very readable book. This book deserves to be read by anyone interested in climate change. The key findings of the IPCC, written in plain and simple terms. Great value in informing the public at large about the science underlying the growing challenge of climate change. They are excellent communicators of the science to the general reader… One hopes for a wide readership for this measured book which clearly and thoughtfully sets out the results of the work of a great many scientists. An unprecedented union of scientific analysis and stunning photography illustrating the effects of climate change on the global ecosystem. In this groundbreaking book, published by W.W. Norton & Company in April 2009 NASA climate scientist Gavin Schmidt and photographer Joshua Wolfe illustrate as never before the ramifications of shifting weather patterns for human society. Photographic spreads show us retreating glaciers, sinking villages in Alaska’s tundra, drying lakes. The text follows adventurous scientists through the ice caps at the poles to the coral reefs of the tropical seas. Marshalling data spanning centuries and continents, the book affirms the headlines with cutting-edge research and visual records, including contributions from experts on atmospheric science, oceanography, paleoclimatology, technology, politics, and the polar regions. The Long Thaw: How Humans are Changing the Next 100,000 Years of Earth’s Climate, David Archer (Princeton University Press, 2009). Global warming is usually represented as a hundred-year problem, say to the year 2100. In The Long Thaw, David Archer, one of the world’s leading climatologists, shows how a few centuries of fossil-fuel use will change the climate of the Earth dramatically for hundreds of thousands of years into the future. The great ice sheets in Antarctica and Greenland will take more than a century to melt, we think, but the climate impact from fossil fuel CO2 will last long enough for the ice sheets to respond fully to the warmer climate, changing sea level one hundred times more than the forecast for the year 2100. A planet-wide thaw driven by humans has already begun, but Archer argues that it is still not too late to avert dangerous climate change—if humans can find a way to cooperate as never before. In this short book, David Archer gives us the latest on climate change research, and skillfully tells the climate story that he helped to discover: generations beyond our grandchildren’s grandchildren will inherit atmospheric changes and an altered climate as a result of our current decisions about fossil-fuel burning. Not only are massive climate changes coming if we humans continue on our current path, but many of these changes will last for millennia. To make predictions about the future, we rely on research into the deep past, and Archer is at the forefront of this field: paleoclimatology. This is the book for anyone who wishes to really understand what cutting-edge science tells us about the effects we are having, and will have, on our future climate. Books on climate change tend to focus on what is expected to happen this century, which will certainly be large, but they often neglect the even larger changes expected to take place over many centuries. The Long Thaw looks at climate effects beyond the twenty-first century, and its focus on the long-term carbon cycle, rather than just climate change, is unique. A great book. What sets it apart is that it expands the discussion of the impacts of global warming beyond the next century and convincingly describes the effects that are projected for the next few thousand years. What also sets it apart is how deeply it takes general readers into the scientific issues of global warming by using straightforward explanations of often complex ideas. Archer has perfectly pitched answers to the most basic questions about global warming while providing a sound basis for understanding the complex issues frequently misrepresented by global warming skeptics. With a breezy, conversational style, he . . . provides a complete picture of climate change. [An] enjoyable and fast-paced treatise. . . . Archer leads the reader to a simple yet accurate picture of climate changes, ranging from geological time scales to current warming, ice ages and prospects for the future. Dire Predictions: Understanding Global Warming Michael Mann and Lee Kump, (2008). The Intergovernmental Panel on Climate Change (IPCC) has been issuing the essential facts and figures on climate change for nearly two decades. 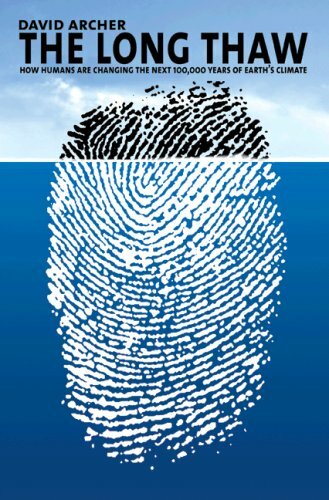 But the hundreds of pages of scientific evidence quoted for accuracy by the media and scientists alike, remain inscrutable to the general public who may still question the validity of climate change. Esteemed climate scientists Michael E. Mann and Lee R. Kump, have partnered with DK Publishing to present Dire Predictions–an important book in this time of global need. Dire Predictions presents the information documented by the IPCC in an illustrated, visually-stunning, and undeniably powerful way to the lay reader. The scientific findings that provide validity to the implications of climate change are presented in clear-cut graphic elements, striking images, and understandable analogies. Readers will be able to understand the IPCC reports’ key concepts such as scientific uncertainty. They will also learn how to build a climate model and use it to predict future climates. Geoforensics is presented as a way to learn from the past by piecing together clues from prior climates. Here’s a powerful, straight-forward guide to how scientists, economists, and engineers really understand the problem of global warming. It makes 20 years of research and consensus-building completely accessible to anyone who cares to know the truth–and to do something about it. With its eye-grabbing graphics and reader-friendly prose, “Dire Predictions” walks us through the findings of the world’s leading climate scientists – and places the ultimately responsibility for the human future directly at our feet. Dire Predictions is a must read for anyone who wants the straight facts on global warming. It cuts to the heart of the massive 2007 IPCC report, presenting major scientific findings in easy to understand language and graphics. Written by two of the scientific community’s most thoughtful researchers, Dire Predictions’ unbiased message about global warming arrives at a time when people need it most! Die Meere sind eine Grundlage unseres Lebens — sie regulieren unser Klima und sind ein wichtiger Nahrungslieferant. 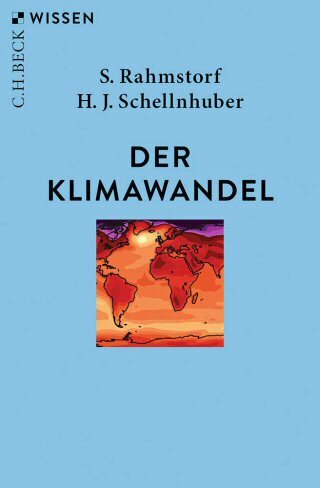 Doch wir zerstören sie durch globale Erwärmung, Überfischung und Verschmutzung. Das wird verheerende Folgen haben, wenn wir nicht rasch umdenken und handeln. Dieser Band zeigt Ansätze auf, wie wir unsere ozeanischen Ökosysteme wirkungsvoll schützen können. Global warming: Understanding the Forecast, David Archer (Wiley-Blackwell, 2006). Global Warming: Understanding the Forecast is a comprehensive introduction to all aspects of global warming. Written in an accessible way, this important book examines the processes of climate change and climate stability, from the distant past to the distant future. Examining the greenhouse effect, the carbon cycle, and what the future may hold for global climate, this text draws from a wide range of disciplines, and not only summarizes scientific evidence, but also economic and policy issues, related to global warming. A companion website provides access to interactive computer models of the physics and chemistry behind the global warming forecast, which can be used to support suggested student projects included at the end of each chapter. Global Warming: Understanding the Forecast provides an essential introduction to this vital issue for both students and general readers, with or without a science background. Rigorous but rewarding, David Archer’s book takes us through the science of global warming so that we can more effectively assess where the world may be heading. David Archer’s book is an accessible, entertaining, but detailed account of how scientists are trying to predict future climate change. It is an excellent book and should be the first port of call for anyone wanting to delve deeper into exactly what goes into those global warming forecasts. This is a wonderful book. Between the covers of a surprisingly slim paperback, David Archer has distilled nearly everything a concerned undergraduate student could wish to know about the workings of the climate system…overall, this book perfectly hits its target audience. The main purpose of this book is to introduce the reader to the subject of solar activity and the connection with Earth’s climate. It commences with a brief review of the historical progress on the understanding of the solar-terrestrial connection and moves on to an objective scrutiny of the various hypothesis. The text focuses on how knowledge about the solar cycle and Earth’s climate is obtained. It includes discussion of observations, methods and the physics involved, with the necessary statistics and analysis also provided, including an examination of empirical relations between sunspots and the Earth’s climate. The author reviews plausible physical mechanisms involved in any links between the solar cycle and the Earth’s climate, emphasizing the use of established scientific methods for testing hypothesized relationships. Paleoclimatology: Reconstructing Climates of the Quaternary, Ray Bradley, (Academic Press, 2nd edition, 2005, originally published in 1999). Raymond S. Bradley provides his readers with a comprehensive and up-to-date review of all of the important methods used in paleoclimatic reconstruction, dating and paleoclimate modeling. Two comprehensive chapters on dating methods provide the foundation for all paleoclimatic studies and are followed by up-to-date coverage of ice core research, continental geological and biological records, pollen analysis, radiocarbon dating, tree rings and historical records. New methods using alkenones in marine sediments and coral studies are also described. Paleoclimatology, Second Edition, is an essential textbook for advanced undergraduate and postgraduate students studying climatology, paleoclimatology and paleoceanography worldwide, as well as a valuable reference for lecturers and researchers, appealing to archaeologists and scientists interested in environmental change. Paleoclimatology is a definite “must-have” for anyone working in climate studies and highly recommended for anyone seriously interested in our climate. This thorough, well referenced text will prove to be indispensable to anyone involved in the study of past and current climate change and modeling. Comments Off on Our Books.